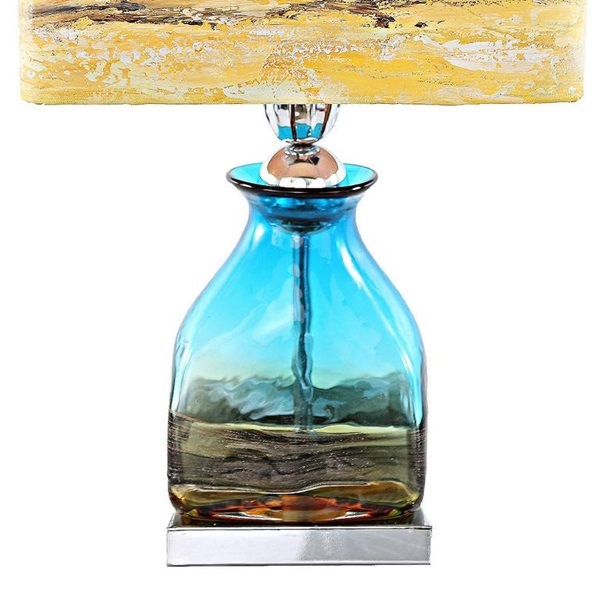 60W Type A, E26 Not included. 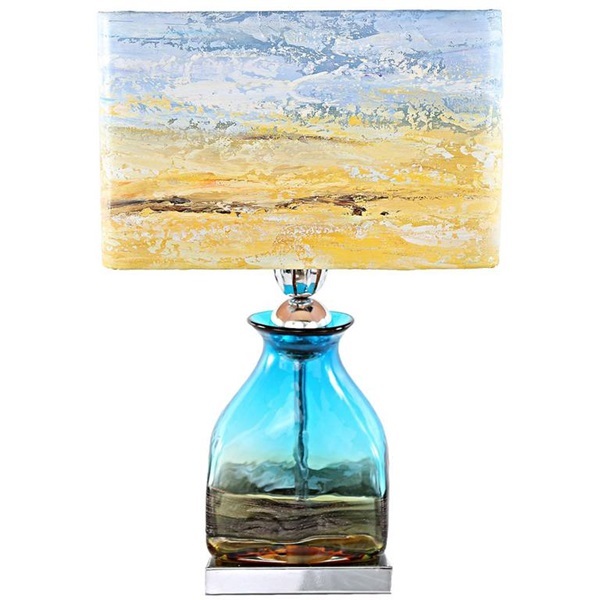 The waves are crashing against the shore, your family is just sitting down to dinner, and there is no where in the world you would rather be. 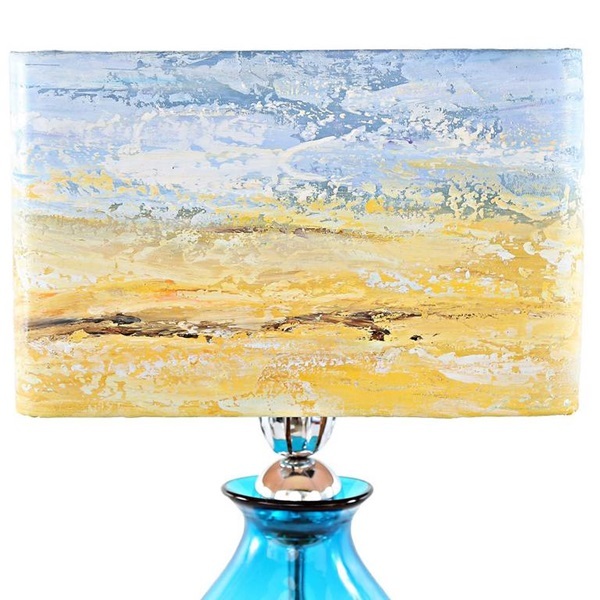 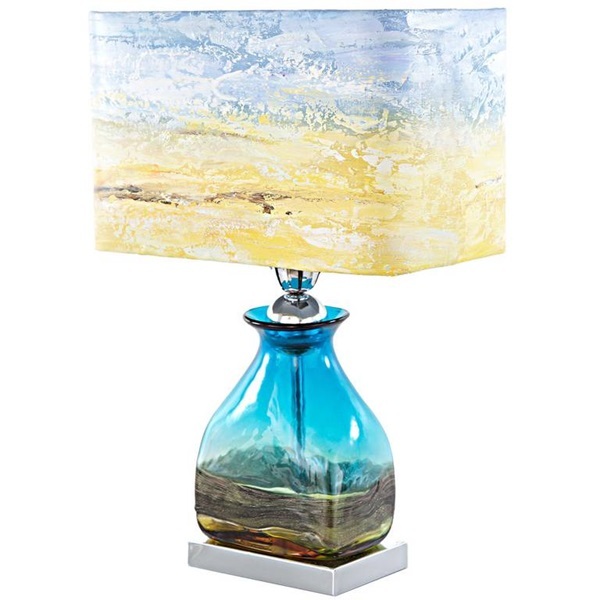 Keep your travel memories close with this one-of-a-kind hand painted table lamp with hand blown glass base. 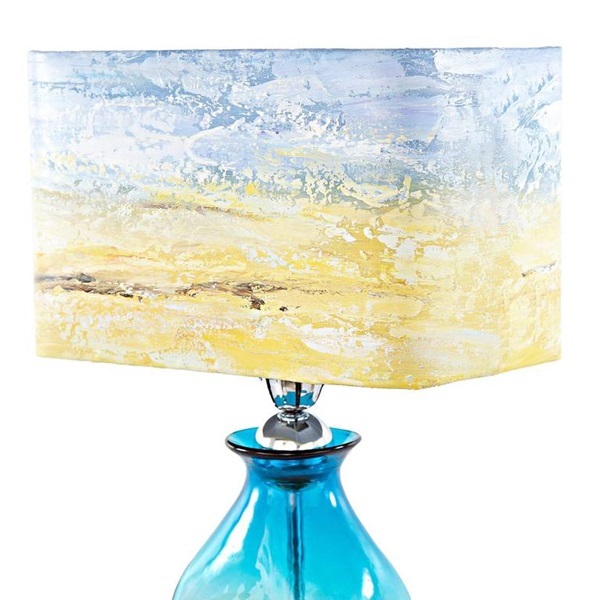 The expertly designed shade features a swirling pattern, like an ocean shoreline with an ombre-style glass base. 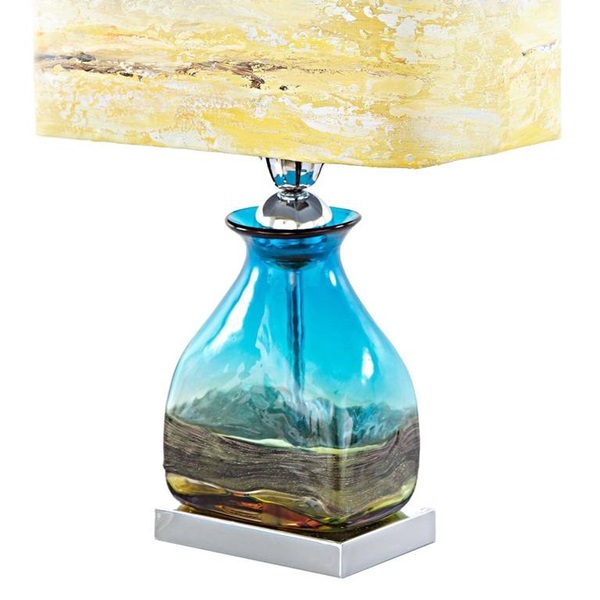 As a great addition to your home, this piece will get people talking.